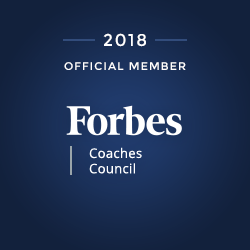 FORBES – Living Leadership: Are You Becoming Or Unbecoming Of Yourself? I recently watched two senior professionals debate a topic. As I did so, I paid most attention to how each went about communicating their case and perspective. The more I watched, the more turned off I found myself to be at the language used, the nonverbal messages sent and the lack of generosity and respect I would have expected from those we call leaders. If we are behaving in ways that are unbecoming, it must mean we are detracting from who we could be in this moment and, therefore, from our own potential and all we might become. It must mean there is a different and higher path available for us. I am unbecoming when I speak ill of others. I know this because I can feel it. It just feels wrong to speak poorly of another. However subtle or benign it may be, I always end up feeling ashamed of myself for not being a stronger and better person. It begs the question: Why am I not having this conversation with the person I am speaking about? I am also unbecoming when I blame others for situations and results instead of focusing solely on my own contribution and ownership in an outcome. After all, I co-create every single relationship I am a part of, so if I don’t like what I have created, it is up to me to learn, grow and change if I am to create new and better outcomes. This might require that I acknowledge or apologize to others, and it might require that I end a relationship that is simply unhealthy. Finally, I am unbecoming when I use language that is beneath me. Again, I know this because I can feel it. In a moment of frustration over spring break, I found myself telling my children to “shut up!” I am embarrassed even as I write these words. The words were heavy, and in that moment, I saw how it changed our relationship. I never use this language. I don’t even know where it came from. I just know it was unbecoming of the parent I want to be and know I can be. I immediately apologized to both of my children and asked for their forgiveness. Integrity and honesty: This means to do what we say we are going to do, and to be honest first and foremost with ourselves and then with others. It means to do what is right. We do know what the right thing is; we often just don’t like all it will require of us. More often than not, we must do what is hard for us to do: eat well, think well, speak well, act well. Responsibility: This means to take 100% ownership for our part in the results we experience both in business and in our personal lives. We must see how we are co-creators in every system we are a part of and strive to own and further evolve our contribution. Kindness, compassion and love: This means to treat ourselves with the same respect we seek to extend to others, as we can never give away what we do not have. This is perhaps the most difficult ideal for driven professionals to achieve, but it is only in connecting with our own humanity that we can truly connect with others. By championing the very best within ourselves, we have the greatest potential to become the highest version of ourselves, to help others do the same and to create the kind of organizations and world we all dream of working and living in. Peace begins inside and extends first to our family and neighbors. One fact remains: Not living these ideals is unbecoming. It is less than ourselves, less than what we are capable of and beneath who we truly are. There are always two paths to take: a becoming path and an unbecoming path. The choices we make accumulate, and together, they create our reputation, our legacy and the full impact of our leadership. So, how are you doing in becoming the very best version of yourself, in taking ownership and responsibility for the impact you have on others and for the results you are obtaining? I know it can be difficult to look at ourselves, but it is the work required to lead well. Leadership, like life, is nothing more than a series of opportunities to live our own highest values — to live out what we stand for, to be our word and to be a living example of all we hold dear. Today is your moment. Who will you be? Who are you becoming? Susanne Biro is confidant and coach to C-suite and executive level leaders, a Forbes and CEO Magazine contributor, and a TEDx speaker. She is also an author, designer, senior facilitator and vegan advocate. Susanne has a private coaching practice and is also a co-founder of Syntrina Leadership, an executive coaching and senior leadership team development firm. For close to two decades, Susanne has worked internationally with senior-level leaders in some of the world’s best companies. Whether coaching one-on-one or authoring, designing, and delivering leadership programs, her passion is the same: to help leaders reach their next level of personal, professional, and leadership mastery.